Looking for new ways to enjoy your time with friends and family? We've got the solution for you. At Classic Pinball & Arcades, we provide entertaining gaming machines that make players nostalgic. 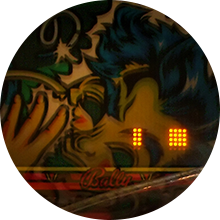 Buy arcade games and beat your friends in a classic game of pinball today! Improve your old arcade consoles with our essential pinball machine parts. You can count on our expert staff to provide you with the parts and details you need to level up your gaming experience. Our services are fit for avid gamers and business owners with arcade shops. when you play our top-quality arcade games and pinball machines. Bring back the good old times when you purchase arcade games and pinball machines from Classic Pinball & Arcades in Birmingham, Alabama. We take pride in having a large inventory of the finest new and used pinball machines on the market. We also offer prompt repair services to help restore your old gaming machine's quality. Our team has more than 15 years of experience in the gaming industry. We are composed of a knowledgeable staff that's committed to refurbishing old arcade games and providing machines for your classic gaming needs. Total customer satisfaction has always been our ultimate goal. This is why we make sure that all of our products have been tried and tested before selling them. We stand behind all the products we sell and the services we provide. Please get in touch with us for your inquiries. We look forward to hearing from you.